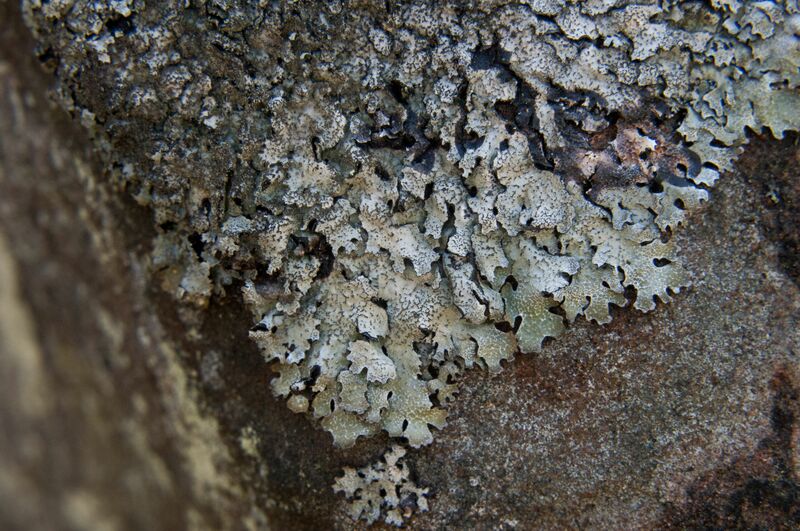 Lichens are a rich part of our natural heritage – they thrive in the clean air and varied habitat of Scotland. In the UK we have around 2000 lichen species, 1600 of which can be found here in Scotland. 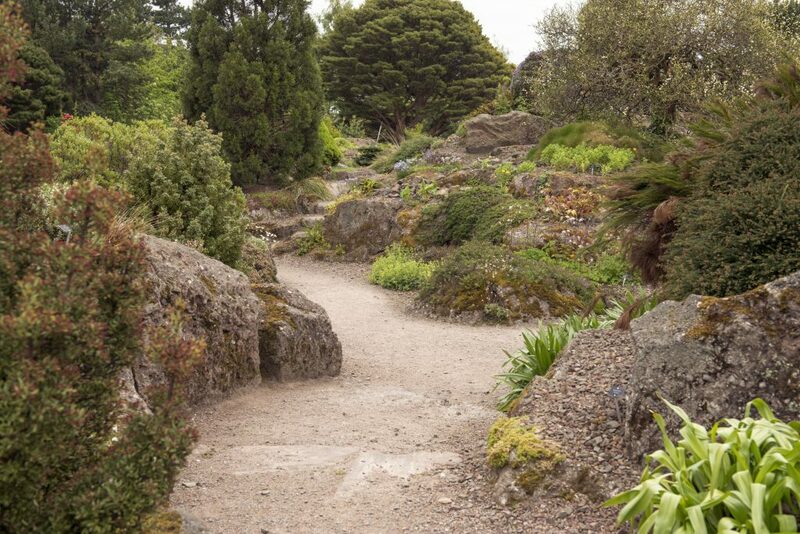 From coastlines to mountain tops, healthlands to temperate rainforests and even man-made structures here in the city, lichens enrich Scotland’s magnificent landscapes. Lichens are pioneers in colonising bare rock. Crustose (crusty) species are one of the first things to colonise rock and bare wood, releasing nutrients such as nitrogen and phosphorus and creating conditions suitable for other forms of live to live and grow. 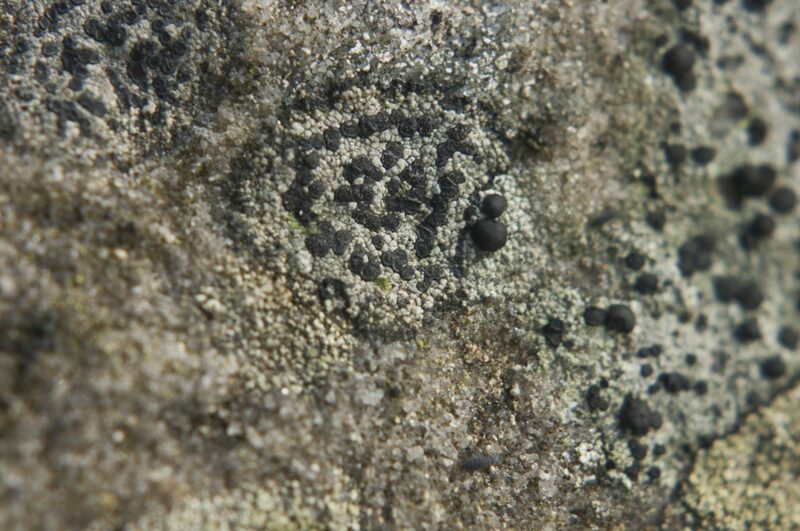 Here in the rock garden, if you look closely you can find a range of crustose (crusty & flat) and foliose (leafy and 2D) (see photo below) lichens growing on the tops and sides of boulders and rocks. The lichens growing on the tops of the rocks like the Parmelia in this picture, can survive extreme variation in moisture levels. 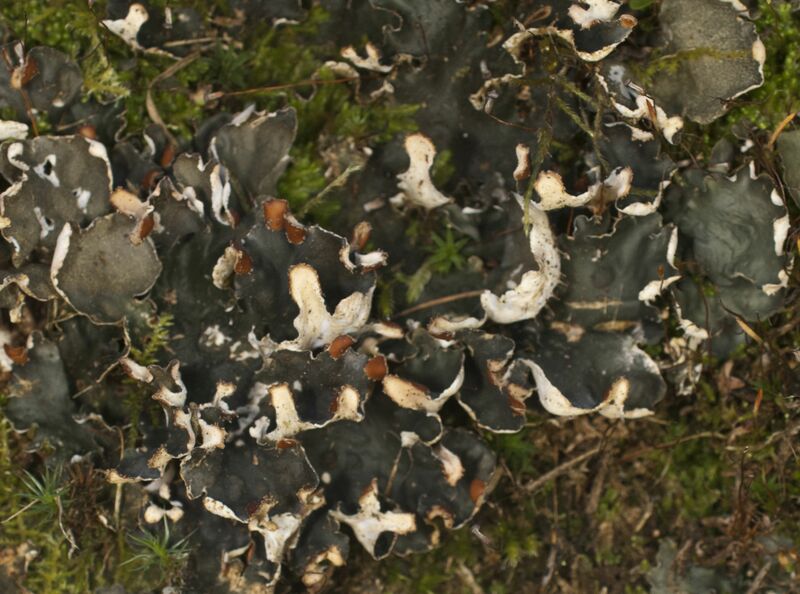 Lichens such as Peltigera and Cladonia species like to grow where it is a little more shady and there is a little more moisture more of the time – so these tend to favour the sides and bottom edges of the rocks. 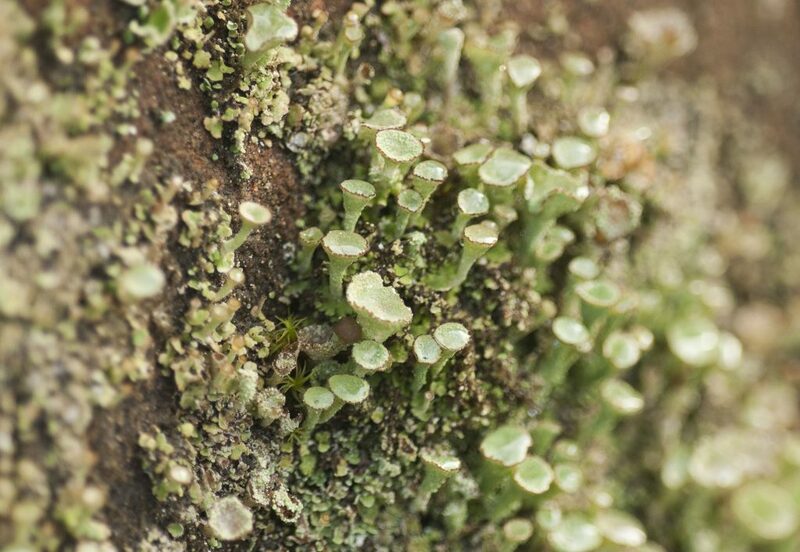 Cladonia chlorophaea has two parts to it’s body, tiny scale-like squamules at the base, and small erect ‘pixie cups’ that house the lichen’s reproductive structures. Lichens can dry out completely for several weeks, even months and their metabolism (photosynthesis and growth) slows down. As soon as there is some moisture in the atmosphere either through rain, fog or mist, they will re-hydrate and start metabolising at a faster rate again.